For more than 100 years, Reclamation and its partners have worked to develop a sustainable water and power future for the West. 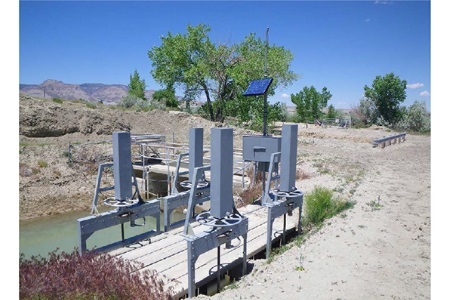 This program is part of the Department of the Interior's WaterSMART Program, which focuses on improving water conservation and reliability while helping water resource managers make sound decisions about water use. To find out more information about Reclamation's WaterSMART program, visit https://www.usbr.gov/watersmart. Reclamation is the largest wholesale water supplier in the United States, and the nation's second largest producer of hydroelectric power. Its facilities also provide substantial flood control, recreation, and fish and wildlife benefits. For more information, visit https://www.usbr.gov.